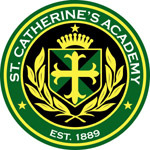 St. Catherine’s Academy’s Early Childhood Program provides a welcoming and nurturing environment for students to learn foundational academic skills and to develop a love for learning. As Orange County’s only all-boys elementary school, we specialize in the learning needs and academic development of boys. In addition, students join their “big brothers” in a school-wide formation program emphasizing faith and character. Classes typically have between 8 and 12 students. Our program includes transitional kindergarten for boys age 4 by September 1 and kindergarten for boys age 5 by September 1. 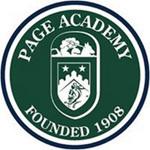 A nonsectarian, coeducational private school, Page offers preschool with potty training program, extended hours, summer program and advanced curriculum to provide the best student and family centered education to our communities. Page has an elite team of teachers and administrators, small class sizes, progressive curriculum and innovative resources to help young minds and imaginations thrive. Newport Mesa campus is located on Victoria Street in Costa Mesa. Our Montessori program for infants, toddlers, preschoolers equips children with the personal skills, social competencies and academic preparation they need to succeed in elementary school and beyond. At LePort, we know how important it is for students to have a fun and enjoyable experience at school so they stay motivated to learn for years to come. Our teachers are highly qualified and nurturing (all head teachers are AMI-trained, possess bachelors degrees, and truly love teaching children). Our classrooms are safe, spacious and orderly environments, equipped with high-quality learning materials. Our range of scheduling options also make LePort a convenient choice. Schedule a tour today. Now offering a new Spanish immersion Montessori preschool program at our Huntington Harbor Campus. Children ages 18 months through kindergarten will be able to learn Spanish naturally, in a full immersion preschool environment. Salem Lutheran School is a co-educational Preschool-Grade 8 school situated in the eastern part of Orange County in the City of Orange. Salem Lutheran Preschool believes in a developmental approach to early childhood learning that emphasizes each child’s individual emotional, spiritual, social, physical, and creative development, and that progress is measured by individual success rather than by comparisons to other children in the group. An international, preschool through 6th grade school, providing a nurturing and intimate environment that encourages personal initiative, creativity and curiosity. Students are challenged through the rigorous and well-balanced bilingual curriculum promoted by the French and International Baccalaureate institutions. Their preschool through Kindergarten curriculum adapts the French Ministry of Education's official program to the bicultural context. 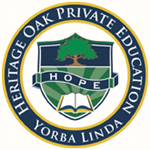 During our rich 51-year history in Orange County, Heritage Oak has earned various awards and accolades including the National Blue Ribbon, designation as Parenting OC Magazine’s Best Private School, and most recently, OC Times’ Best Private School. At Heritage Oak, preschool, pre-kindergarten, kindergarten and elementary grades enjoy a calm, encouraging learning environment with a core curriculum that is one year ahead of the public school standards. Middle school students utilize their own personal laptop computers in class to enhance their studies and to prepare them for challenges in high school and college. All Heritage Oak students receive a well-rounded education that includes music, French or Spanish, art, physical education, computer skills and etiquette. St. Mary’s is an International Baccalaureate (IB) World School dedicated to inquiry-based academic excellence, developing well-rounded, confident children who flourish in a creative environment founded on Christian values. Our school is a loving, supportive, and nurturing environment where children develop a lifelong love of learning. We offer a year round program for children ages 12 months-6years. Our educational philosophy provides a strong, child-centered learning environment that educates the whole child- intellectually, socially, emotionally, and physically. Our educational programs along with our caring, dedicated and highly educated staff is clearly what sets us apart. Low teacher/child ratios, potty training provided, and introductions to Spanish and Mandarin are all offered. We also provide enrichment classes in Gymnastics and Soccer. 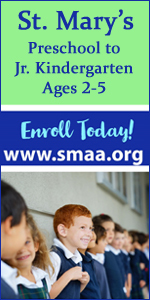 St. Anne School in Laguna Niguel offers premier early childhood education for children beginning at 2 years 9 months of age. St. Anne School provides a warm, nurturing, and loving environment that focuses on educating the whole child. St. Anne preschool, prekindergarten, and kindergarten programs provide developmentally appropriate course learning addressing each child's individual needs, both academically and socially. With early phonics and math readiness programs to music and art exploration to computer labs and free play, St. Anne preschoolers prepare for a lifetime love of learning. St. Anne School offers 2, 3, and 5 day preschool options, full-day kindergarten, and extended daycare. Founded in 1992, St. Anne is a National Blue Ribbon School and WASC, WCEA, and NAEYC accredited. To learn more or schedule a tour, please click link above to visit our website or call us at (949) 276-6753. Nurturing young children in the love of Jesus Christ and providing each child with a positive introduction to formal education, Orange Tree believes a child's first school experience is important because it lays the foundation for all future educational experiences. They provide an encouraging atmosphere conducive to individual growth and development with the belief that each child is a unique gift of God. Their approach involves the whole child with the recognition that each one develops at their own rate. They strive to provide and environment that is safe, loving and rich in opportunities for learning and growth through age appropriate, hand-on activities. Inspiring students to explore, to enjoy learning, caring for living things, and to be part of a team. The Silverado Children Center is a nature-based preschool that helps children ages 2 to 5 learn, grow and develop in one of the most beautiful sites in Orange County. Surrounded by mountains and scrub oaks, yet only minutes from major cities, the Center integrates the awareness and appreciation of the environment and nature into young children's learning with a hands-on curriculum in reading, writing, spelling, number identification, etc. Children learn and play in classrooms filled with environmentally-specific learning materials, such as insect viewers, a water table, tree house fabric, science books, geodes discovery kits, etc. Children also enjoy a safe outdoor environment filled with plants, animals and adventure. 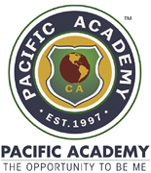 Pacific Academy cultivates students’ natural abilities and strengths using a holistic and individualized approach. With a 1:10 teacher-to-student classroom ratio, students receive individualized attention and have more opportunity to explore their dreams and talents. Also, learning is not limited to the classroom. Outdoor education, field trips, and volunteering shape each student’s character in positive and meaningful ways. For more detailed information, please call 949-398-5288.